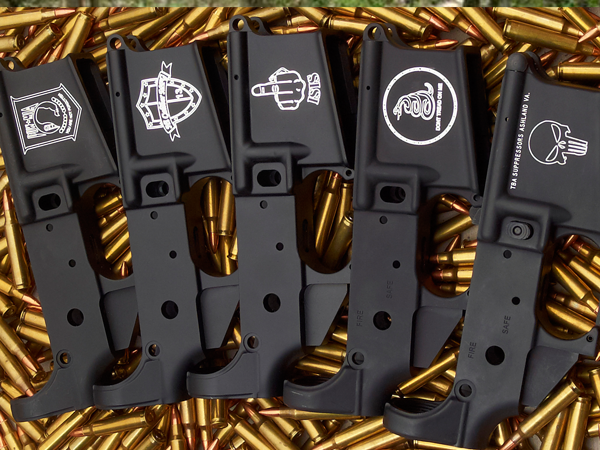 Custom lowers just got cooler. Image engraving now available with TBA Suppressors. Check out the latest in image engraving options available to customize your gun. These and many more options are available. Contact TBA Suppressors today to learn more about how we can make your AR lowers truly unique.